Nearly a year after an attack that came close to ending her life, Winnipeg teenager Rinelle Harper says she is focused on her future, with dreams of attending university, but still concerned about aboriginal women and girls like her. Harper was viciously beaten and sexually assaulted last November and left to die on the banks of the Assiniboine River in Winnipeg’s downtown. Her attack came just weeks after another Manitoba aboriginal teen, Tina Fontaine, was found murdered in the waters of the Red River. Harper recovered from her attack and went on to address the Assembly of First Nations Special Chiefs Assembly a few weeks later. There, she called for an inquiry into Canada’s missing and murdered aboriginal women and girls. Harper, who is naturally a shy person, told CTV’s Canada AM Thursday that she chose to speak that day because she wanted to be the voice for women who no longer have a voice. “I was speaking for the missing and murdered indigenous women and girls, for those who don’t have a voice anymore,” she told host Marci Ien, reading from prepared notes. Now 17, Harper is in her last year of high school and hopes to attend university next year to study human kinetics. She recently toured St. Francis Xavier University in Antigonish, Nova Scotia, where she spoke with administrators about the possibility of a scholarship. Harper said she meets often with other aboriginal teens who tell her that her determination is an inspiration to them. “They say I’m a strong girl,” she said. Harper’s mother, Julie Harper, says strength is part of her family’s identity. “It comes from my background, I would say,” she said. 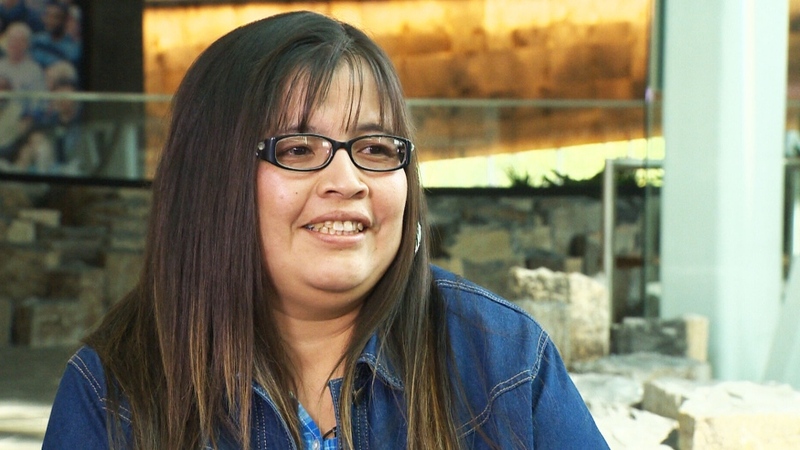 “Most of my relatives are educated, including my late uncle, Elijah Harper,” she added, referring to the aboriginal politician whose firm resistance to the Meech Lake constitutional accord in 1990 became a symbol for indigenous rights. The Harper family is from the Manitoba reserve of Garden Hill, a fly-in community about 500 kilometres north of Winnipeg. Rinelle had been studying at a boarding school for aboriginal students in Winnipeg when the attack happened. She and friends were celebrating the completion of their midterms when they were approached by two men who led Harper off. After attacking her, they abandoned her in the Assiniboine then returned for a second attack. One man and a youth were arrested in Harper’s assault, as well as for another attack on a 23-year-old woman that same night. They were charged with attempted murder, aggravated sexual assault and sexual assault with a weapon. Crown prosecutors have said will be seeking an adult sentence for the youth. Harper’s mother and father, Caesar Harper, say if their daughter does attend university in Nova Scotia, it will be hard to say goodbye to her once again. But they say her happiness is what’s most important to them. 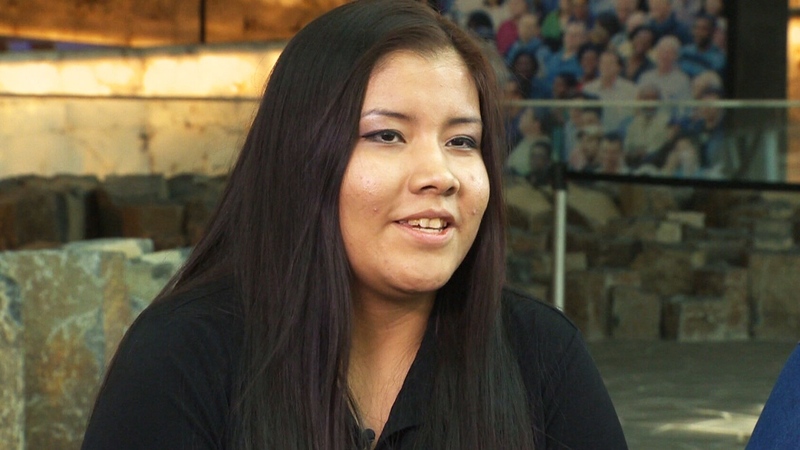 Rinelle Harper speaks to CTV's Canada AM on Thursday, Sept. 17, 2015. Julie Harper speaks to CTV's Canada AM on Thursday, Sept. 17, 2015.